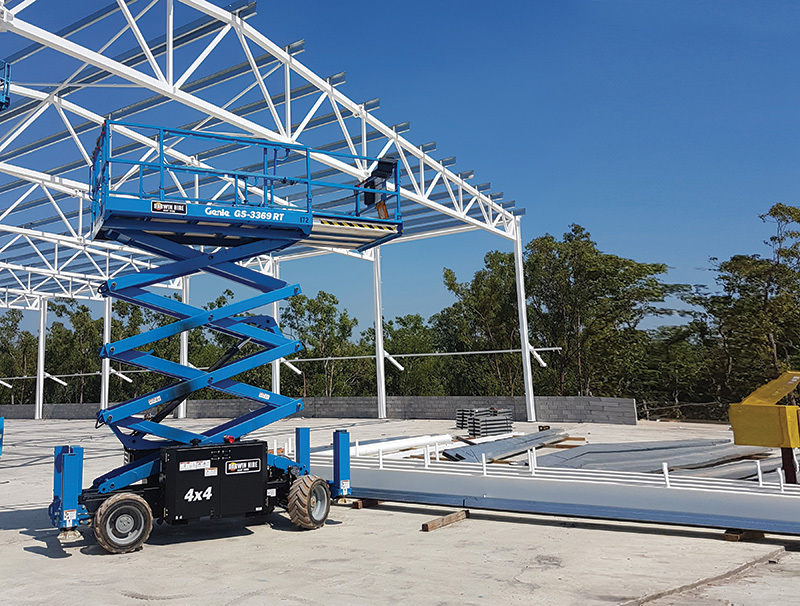 A spike in construction in Darwin and Palmerston is creating plenty of business for recently launched general hire company Darwin Hire, according to Managing Director Glenn Broadway. For example, non-residential building approvals increased in Darwin by 44.8% in 2017 based on a 3-year moving average, according to a recent report composed for the NT government1. Glenn, who migrated to Darwin in 1987 from Victoria, previously owned and operated another Darwin hire company. “I’ve been in Darwin’s hire access industry for 16 years, and I have worked with several different companies before taking on my own business which I sold in 2016,” says the Darwin Hire MD. After operating outside the industry for a couple of years in the wake of the sale, Darwin’s surging business levels became impossible for Glenn to ignore. He admits, “There was just too much going on in Darwin for me to stay away. Despite having a brand name heavily allied to the NT capital, Darwin Hire’s service tentacles stretch to the satellite city of Palmerston and as far away as Katherine, which is 320 km south-east of Darwin, according to Ryan Whyte, Branch Manager, Darwin Hire. Glenn has been collaborating with Genie for 10 years, and it’s the reliability of the AWP leader’s equipment, combined with its outstanding levels of after-service support and timely access to parts that help to win his patronage consistently. “The accessibility of Genie parts is crucial to us. We can make a call one day, and the parts will be with us the next day,” he says. “This straightforward access to parts is a significant benefit of having a Genie branch here in Darwin, which has made life a lot easier for us.